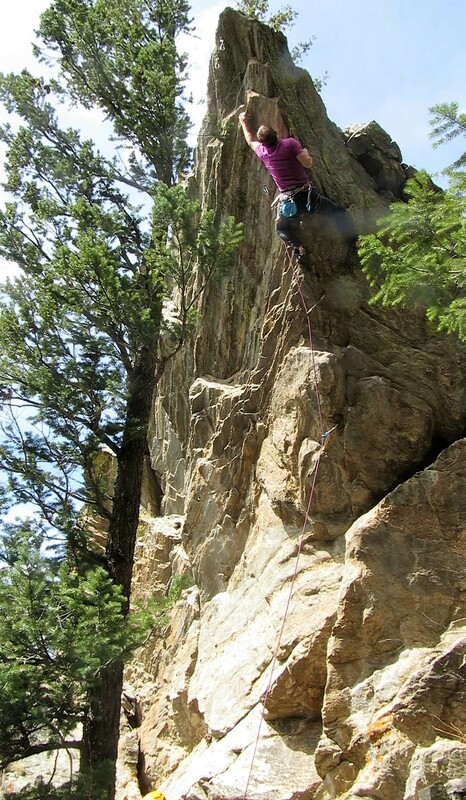 With summer in full swing, I’m always on the lookout for crags that are high and shady. 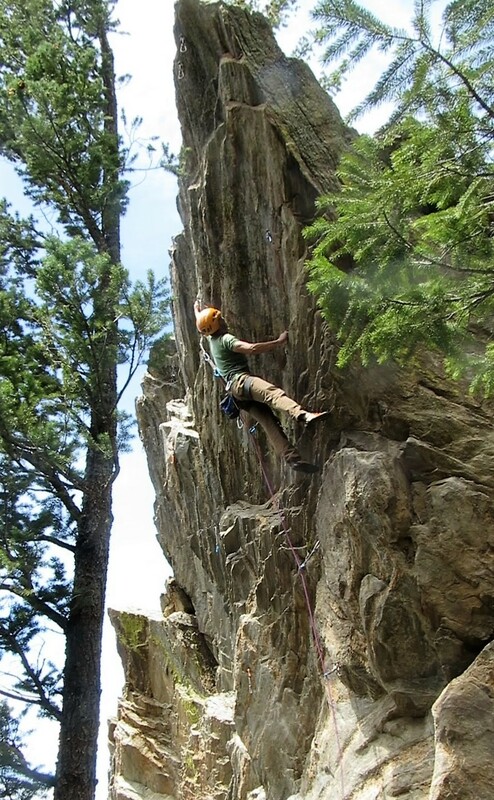 I’ve had my eye on just such a crag at the very top of Clear Creek Canyon for a few years now. This chunk of rock is plainly obvious when approaching Clear Creek from the west, but its sky-scraping position roughly 1000-feet above the river (at an elevation of ~8000’) has discouraged the lazy sport climber in me from doing much about it. 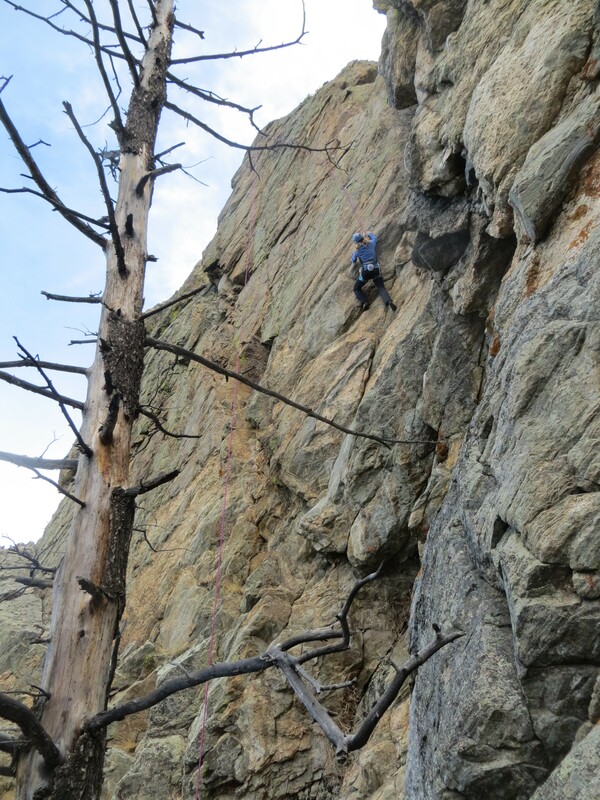 Earlier this year I finally hiked up the impressively long and steep hillside to investigate the crag. Although most of the cliff was too broken or low-angled to be of interest to me, I found a couple walls with great rock and some interesting features. Just as importantly, I discovered a much better approach. 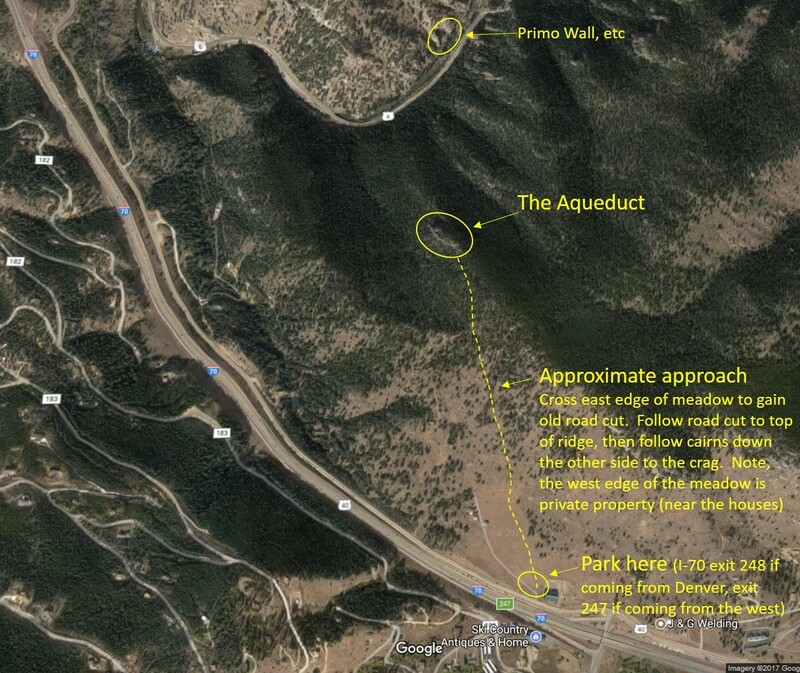 Luckily for my knees, Clear Creek County Open Space acquired the large parcel of land between the cliff and I-70 in the spring. This allows for a much easier approach from the saddle at Floyd Hill through the Open Space (still not trivial though, about 20 minutes with ~300 feet of elevation gain). The formation is massive, and has cliffs facing in just about every direction, but the best cliffs are generally west-facing, staying in the shade till around noon. There are currently two developed sectors which are a few hundred feet apart. The lower, northern-most wall, dubbed the “Committee Wall” consists of long-ish, more or less vertical panels of solid, well-featured rock. 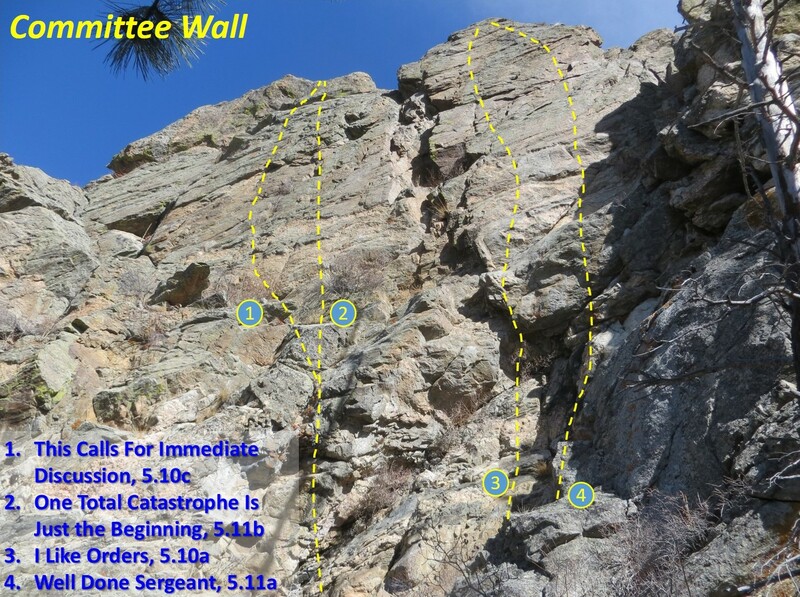 The routes on this wall are in the 5.10- to 5.11 range, with generally consistent difficulty and fun climbing. 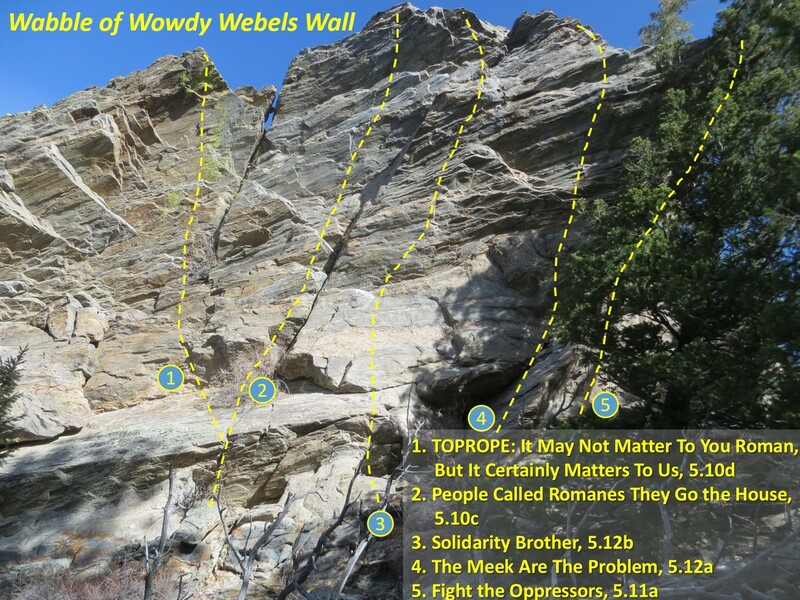 The southern sector (“Wabble of Wowdy Webels Wall”) is much shorter, but overhanging, with bullet stone, littered with incut edges. These routes are all excellent despite their brevity. 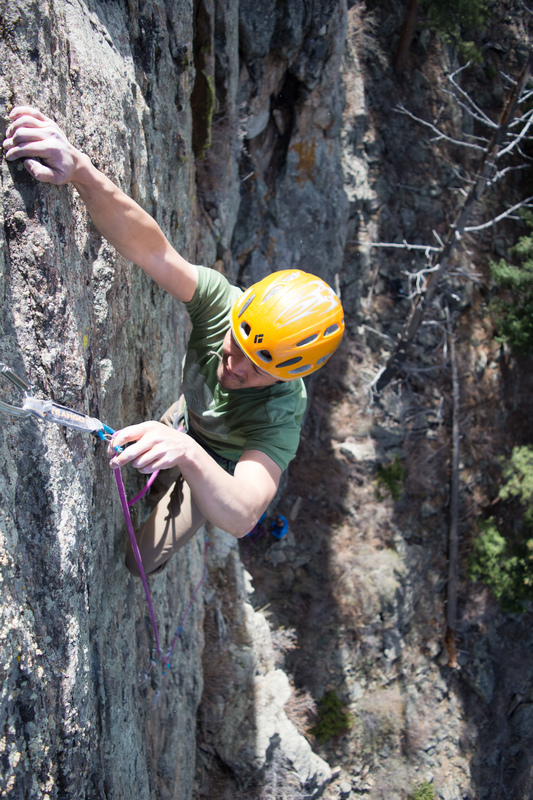 The two 5.12s climb on incredible rock, featuring fun, dynamic boulder problems to reach the lip of the overhang. The best line on this sector is probably Fight the Oppressors, which climbs the stunning, jutting arête on the far right edge of the wall. The prow overhangs on both sides, but thanks to perfectly positioned incut jugs, the difficulty is never much harder than 5.10. 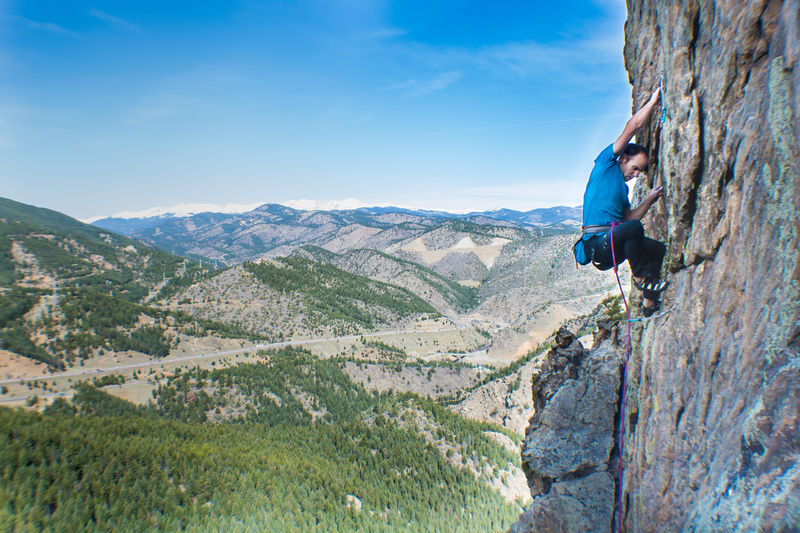 Cruising the short but sweet jutting prow of Fight the Oppressors, 11a. 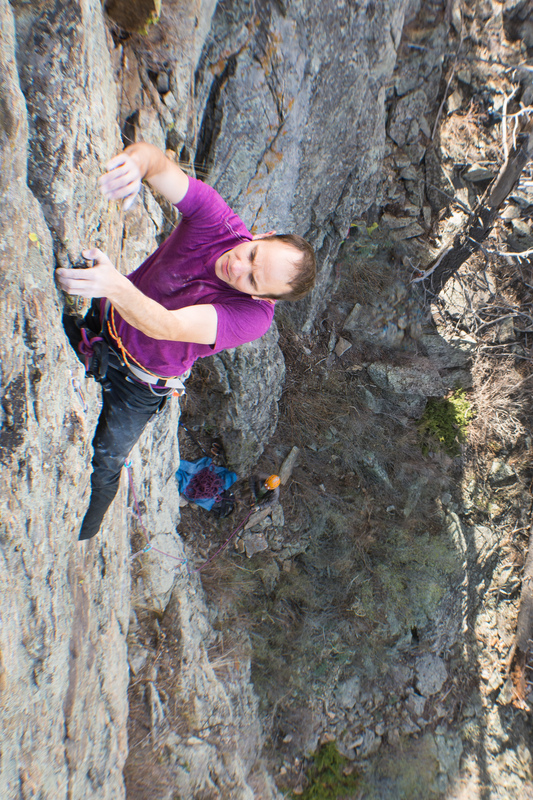 Boer sticking the big dyno on The Meek Are the Problem, 12a. 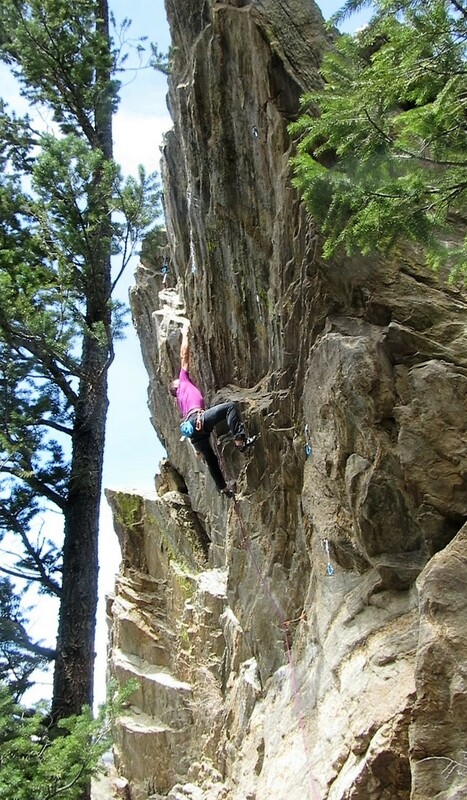 Straining through the crux of Solidarity Brother, 12b. Thanks to Nicholas Zepeda for his great work shooting some of these routes. To see more of his work, please checkout his website.